Because you are only as fast as your phone, Lenovo K6 Power comes to your rescue with a 3GB RAM to make all your tasks, gaming experiences and apps function faster. With the addition of the Octa-core 1.4 GHz Cortex-A53 to its powerful RAM, switching between applications is smooth and fast. The Lenovo K6 Power has a 13MP rear camera and 8MP front facing camera that features phase detection, LED flash, and autofocus. This phone is also upgradable to Android Nougat and is OTG compatible. It has a 5-inch display with a resolution of 1920 x 1080 pixels and features a five point multi-touch. Its sound enhancement speakers give you crisp and realistic audio output whether you are watching your favourite movie or talking to your friends over the phone. What battery life does the Lenovo K6 Power have? It has a 4000mAh battery that allows you to use the phone for 2 days without charge. Does the Lenovo K6 Power have a fingerprint scanner? Yes, the Lenovo K6 Power has a fingerprint scanner to safeguard your data and offer added security. Can I shoot videos on the Lenovo K6 Power? Yes, you can shoot Full HD videos on this phone with its 13MP rear camera. Do I need the Bajaj Finserv EMI Card to buy the Lenovo K6 Power on EMI? No, you can avail instant in-store financing when you visit any partner retail outlet on the Bajaj Finserv EMI Store and enjoy paying in No Cost EMI. What is the loan amount I can get to buy the Lenovo K6 Power on EMI? 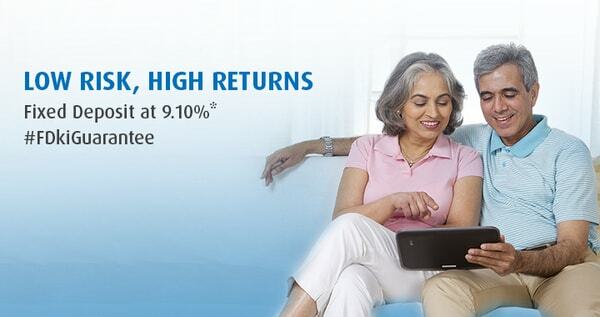 You can get up to Rs.4 lakh as a loan from Bajaj Finserv to shop on No Cost EMIs. This Lenovo K6 Power phone has powerful sensors such as the Magnetometer, Accelerometer, Ambient Light Sensor, and Gyroscope. This handset also empowers you by letting you connect to a wide range of networks and bands such as Wi-Fi, GPS, Bluetooth, USB OTG, FM, 3G, 4G, and LTE too. Apart from this, the Lenovo K6 Power is very light in weight at 145g and measures 141.90 x 70.30 x 9.30 inches, giving it a sleek appearance and feel. It also has Dolby Atmos� powered speakers for a better audio experience. Buy the latest Lenovo K6 Power on EMI from Bajaj Finserv to make the purchase easy on your pocket. The Bajaj Finserv EMI Network allows you to shop for your chosen Lenovo phone on No Cost EMIs. Simply choose an online or offline retailer from among the vast network of 60,000+ sellers across 1300+ cities. In order to shop within the EMI Network, all you have to do is swipe your EMI Network Card at the nearest partner store or online. Or you can talk to a representative to avail in-store financing. In this case, you just need to submit a photo ID, address proof and cancelled cheque to purchase your Lenovo K6 Power on EMI. You can buy the phone at the nearest retail store or online from popular e-commerce websites. You can also access your financing details on the go using your Experia ID at the Bajaj Finserv customer portal. So what are you waiting for? Get the Lenovo K6 Power on EMI and enjoy long-lasting battery, great camera features and sufficient memory to store all your favourites!